OTTAWA — The man who guided the Truth and Reconciliation Commission (TRC) to its conclusions says a year after he delivered the final report he is encouraged by efforts made to respond to its calls for action, but says the federal government has failed to show the kind of leadership necessary to drive reconciliation forward. 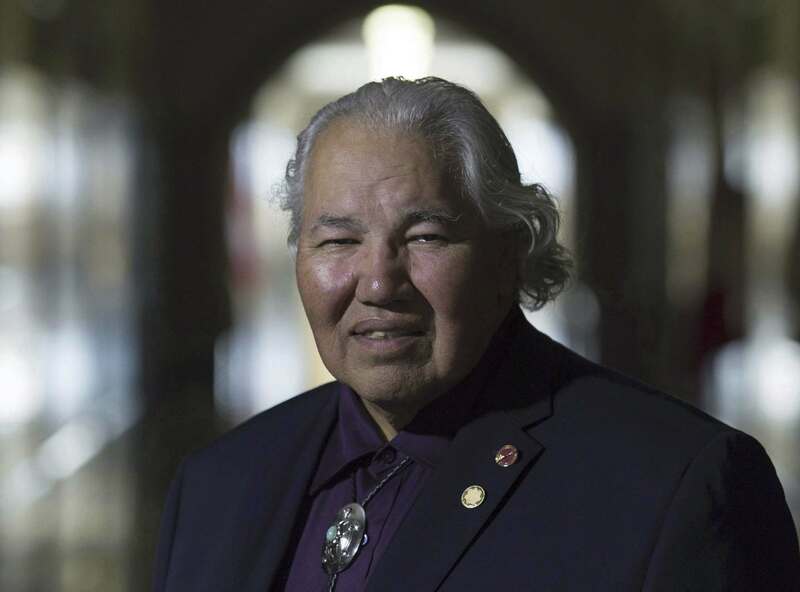 Murray Sinclair, the chairman of the TRC who was appointed as a senator from Manitoba last spring, said there has been some positive work in governments at all levels. That includes new courses in universities to teach students about residential schools and training at municipal governments, law schools and police forces. Every province except Quebec has begun introducing residential schools into public school curricula. But he said what is missing is an overarching direction from the Prime Minister’s Office to set both the tone and priority for reconciliation. That includes adopting the United Nations Declaration on the Rights of Indigenous People as a framework for reconciliation, and a plan of action for doing that, both of which were among the 94 Calls to Action contained in the TRC’s final report. “The lack of a plan leaves senior officials in government without a proper sense of direction and without a proper feeling of accountability,” he said. While he says he has spoken twice now to deputy and assistant deputy ministers on how to address reconciliation, he also feels there are too many who say they can’t do it or that they don’t have the time or the resources. Last month, Prime Minister Justin Trudeau told chiefs at an annual December meeting in Gatineau, Que., that his government was acting on 35 of the 46 calls to action that were directed at the federal government. A list provided by his office does not include what action the government has done on them. Some are clearly underway, such as an inquiry into the high rate of murdered and missing indigenous women. Others, like repealing the section of the Criminal Code that allows teachers and caregivers to physically discipline children, have been promised but not done. Others are not being done the way indigenous communities feel is proper. The government says it is moving on implementing Jordan’s Principle, for example, which calls on Ottawa and provinces to stop forcing First Nations children to wait for care while the governments argue over which one is responsible for paying for it. Some work has been done on it but the government is still fighting against funding for some children. Sinclair notes the government has invested more money into on-reserve health facilities, education and water and wastewater infrastructure, which help address many of the social gaps plaguing reserve residents. He said there are definitely signs that thinking and actions are changing toward indigenous people, pointing to the recent apology by Winnipeg Police Chief Danny Smyth for comments made about an indigenous murder victim at a news conference about the arrest of her alleged killer. “The comments were deemed to have been blaming the victim for putting herself in a situation that led to her death but you should be entitled to expect that systems and how systems respond to that are improved,” said Sinclair. A year ago, there were very high hopes for how the new federal government would relate to indigenous communities, with Trudeau promising a renewed commitment to a nation-to-nation relationship. Twelve months later there are cracks forming. Manitoba Keewatinowi Okimakanak Grand Chief Sheila North-Wilson said there is growing frustration that so far, nation-to-nation seems mainly to be meetings with the Assembly of National Chiefs, not meeting bilaterally with chiefs from across the country. She said the new investments made in education, suicide prevention and housing are positive, with finances provided to allow organizations like hers to do the preparatory work to determine where the biggest priorities are, but they haven’t had an indication yet what will happen once that work is done. After decades of promises made but not fulfilled, there is a lot of skepticism the real work will actually follow. North-Wilson said she has a great relationship with Indigenous Affairs Minister Carolyn Bennett, which is helpful.